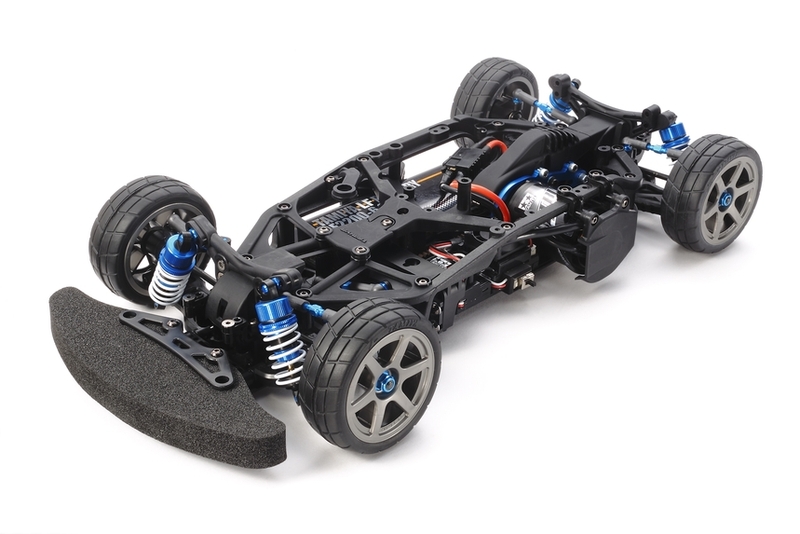 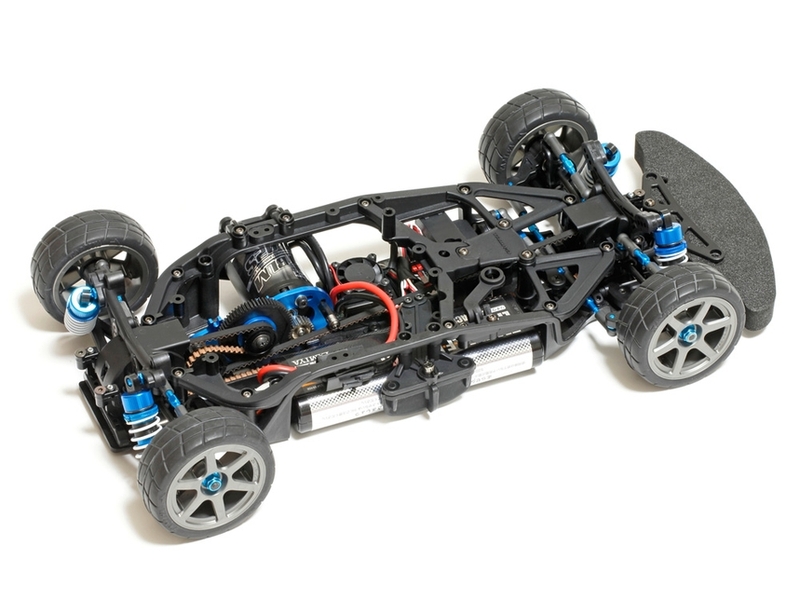 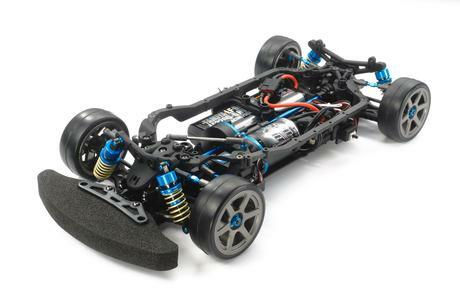 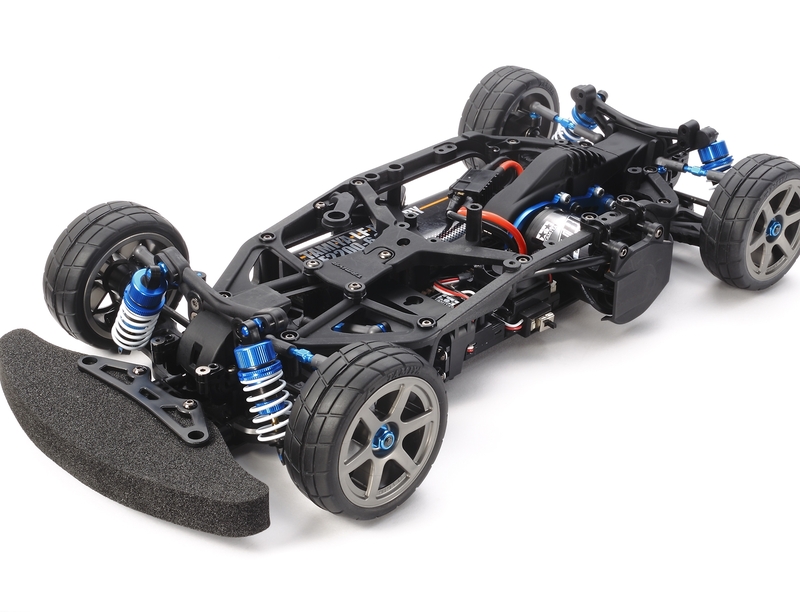 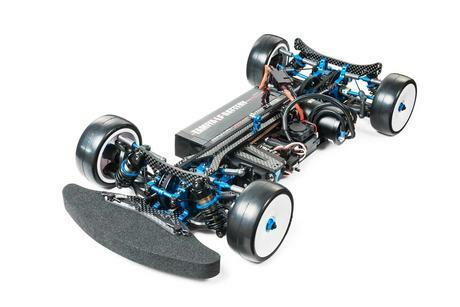 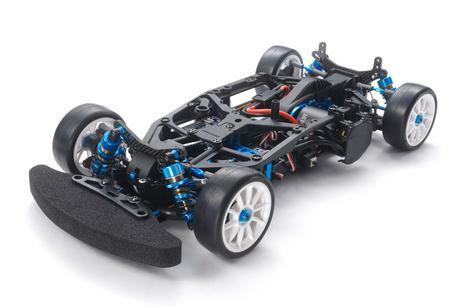 This 4WD R/C touring car chassis assembly kit is based around a composite structure that consists of a narrow lower deck and an upper frame. 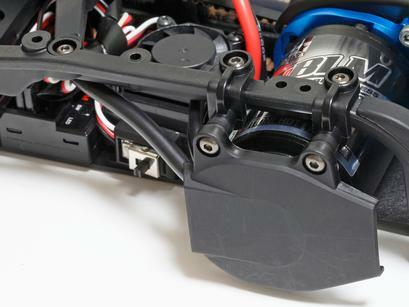 The part design layout provides the chassis optimal torsional rigidity which can be further adjusted by removing the frame center section. 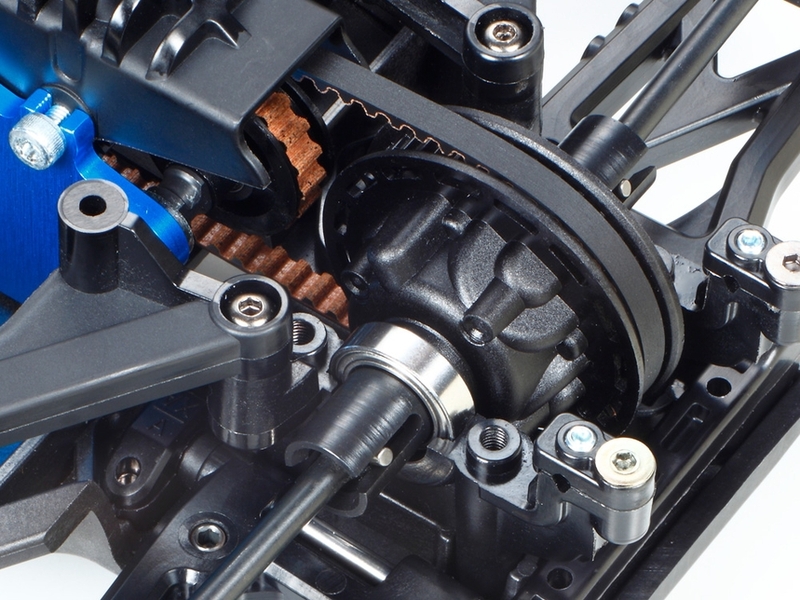 The highly efficient single belt drivetrain offers 3 motor position locations, each with its own performance characteristics suited to different tracks and setups. 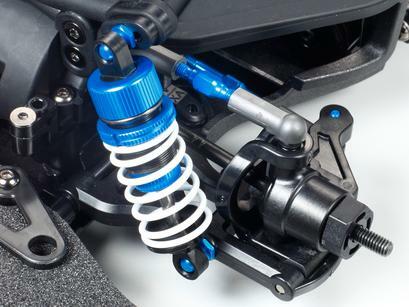 Proven TRF419 design suspension, gear differential units and steering components are joined by proven TRF aluminum shock dampers and universal shafts to make this chassis a hi-spec racer! The upper frame allows for a symmetrical chassis design, which in turn helps to optimize chassis flex. Note: that front/rear stiffener, and center brace parts are attached separately to the integrated lower and side frame piece. 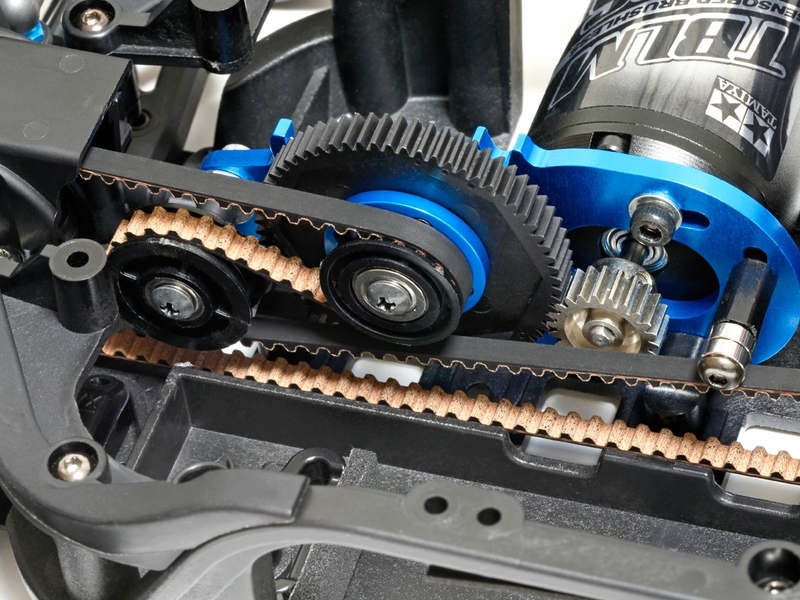 The efficient single belt winds back around the main and counter pulleys. Using one belt as opposed to two facilitates the changeable motor position feature. 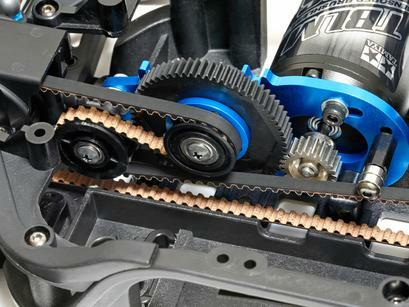 It allows simple reconstruction of the chassis using the existing belt rather than many different lengths. 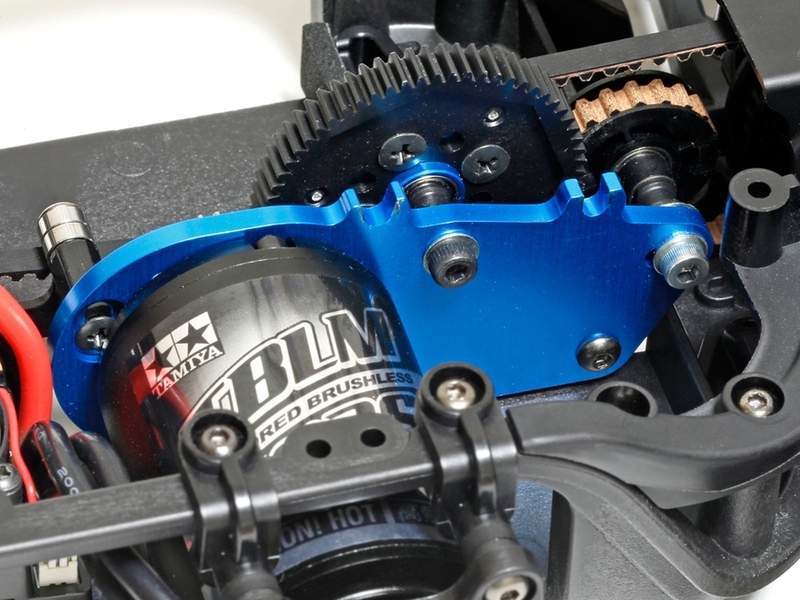 The 3 motor positions cover a total range of 52mm. 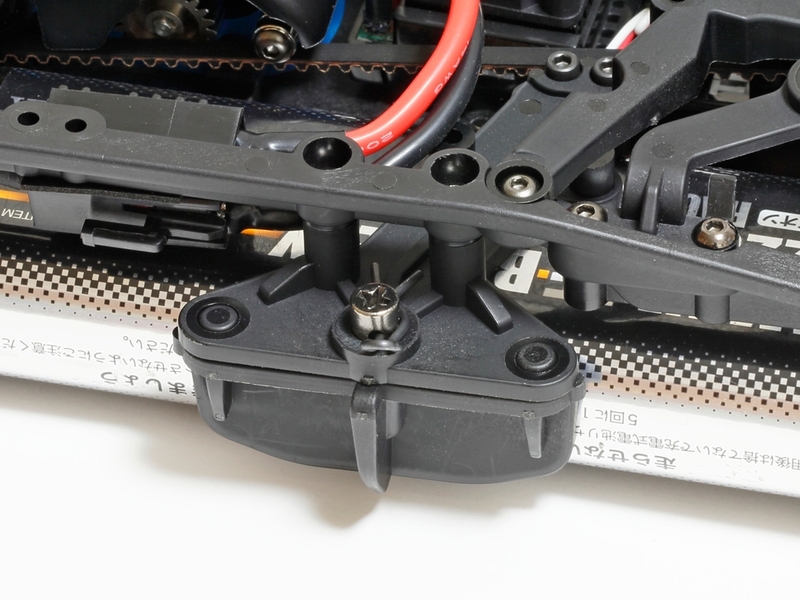 Changing motor positions is easy; just take off the cover, remove 2 screws, and re-attach the motor mount in the desired position. TRF419 suspension parts and gear differentials give top-level performance and reliability. Like on the TRF419, the servo mount is attached on one side only, with chassis flex in mind. 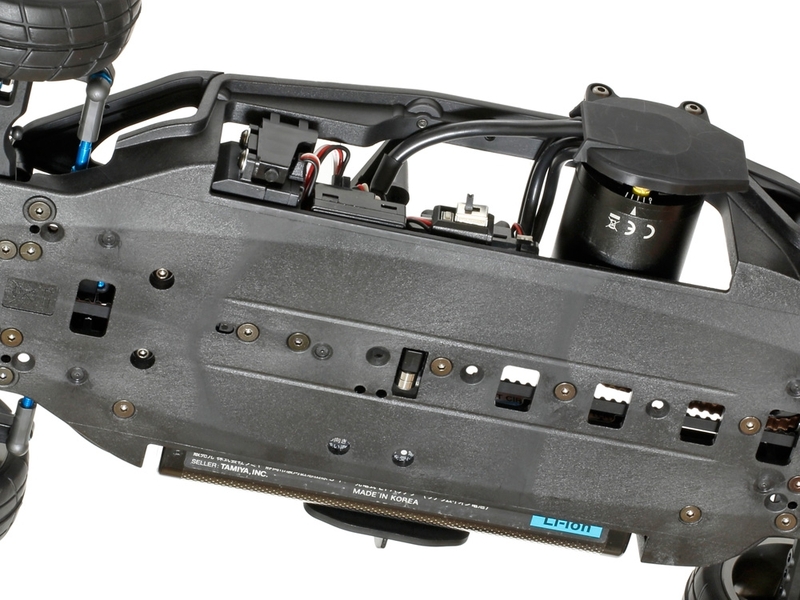 The battery can be removed via the chassis side. 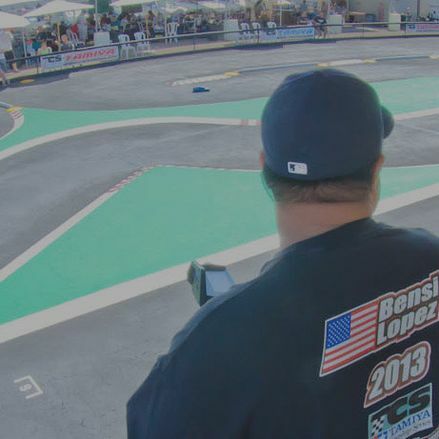 Radio controlled car racing competition that is organized by Tamiya America, Inc. with the regional support of participating hobby retailers throughout the USA.